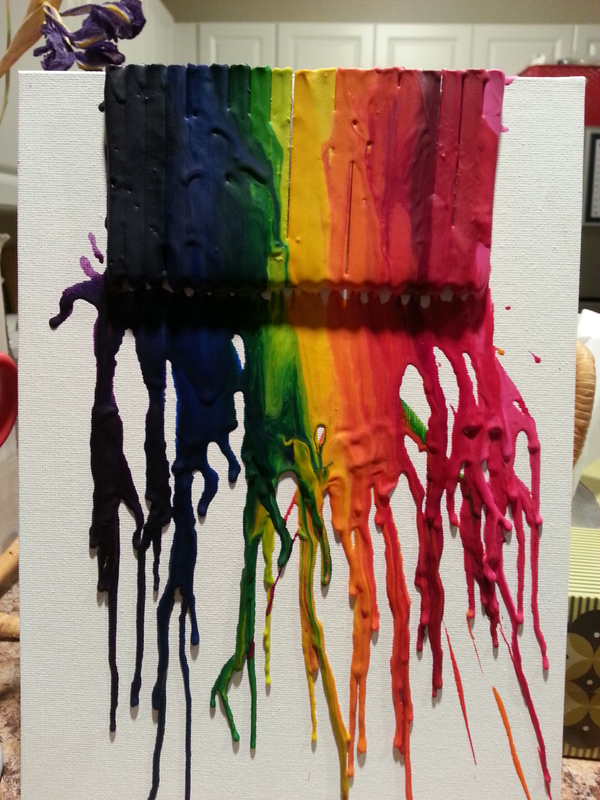 So I ended up getting a little bit crafty this weekend: I made some crayon art. 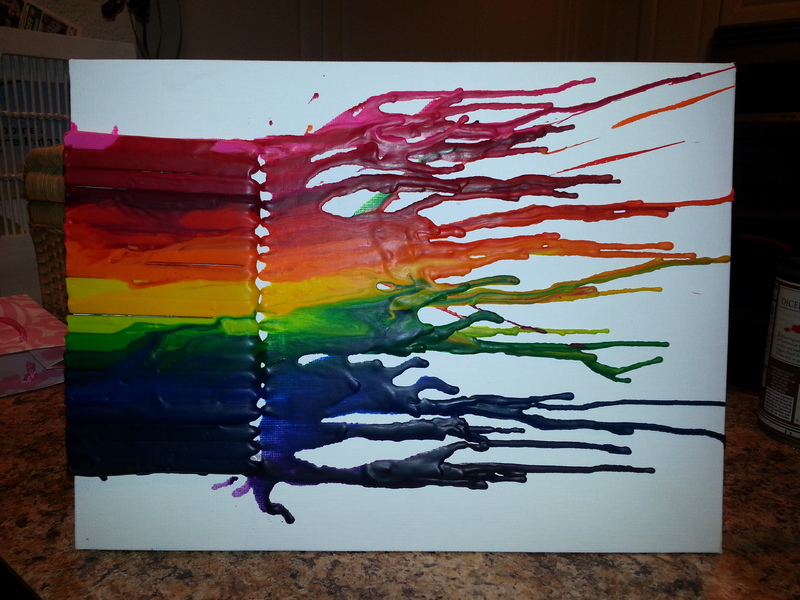 I peeled the covers off the crayons, hot glued them to some canvas, and used a hair dryer to melt them. The canvas worked really well. I will definitely do this again. I’d like to try doing shades of one color instead of all the colors. I like how the melted crayons created texture on the canvas. I like how the colors melded together. I’m going to get something to put on the back of my art so I can hang it up. I think I’m going to hang it up sideways (see below). What do you guys think? Next Post Day 64. I love Korra!